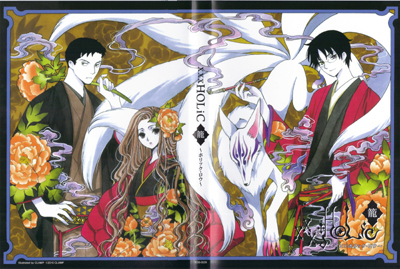 has the scans of XXXHOLiC #17 (including the cover, box, dvd, etc) and the OAD itself (ripped by her) up in her LiveJournal. You can find it all here. ← New XXXHOLiC (?) Short-OAD! It’s so beautiful, as expected from CLAMP. Finally, a direct download that I can use. thanks alex!!!! and cardcaptor kiki como siempre… ops i forgot! english, english!! This is DVD’s cover, not vol 17. In #17’s cover ‘s only Watanuki .